Flavoured porridge! Sounds like it might take a little bit of preparation, but it really isn’t that difficult. All you need is porridge oats- I recommend wholegrain- and frozen fruit of your choice. 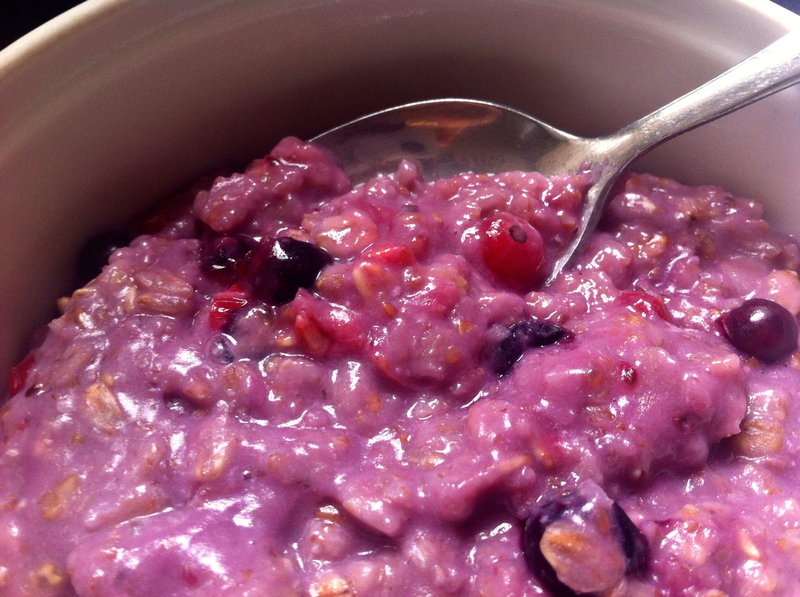 Mix your oats and milk as you usually would when making porridge and then add a handful of frozen fruit. Heat and ta daaa, a colourful bowl of flavoured porridge.